William J. Riley founded the New Balance Arch Company in 1906 in Boston, Massachusetts. 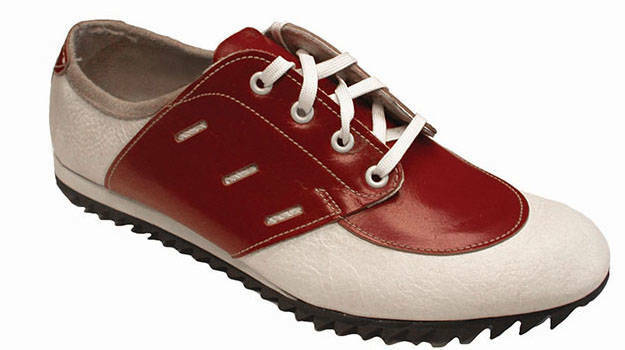 The company manufactured arch supports and orthopedic shoes and focused on this particular niche for most part of the 20th century. Despite decades of consistent high-quality craftsmanship, the company remained a rather unknown entity and an obscure brand to the mass market, albeit highly regarded within smaller circles due to its specialty shoes that helped cement its initial reputation among firefighters and policemen. The company therefore struggled to achieve financial growth with such a limited sales potential and it took nearly 70 years for the brand to hit the limelight and be recognized on the national level for producing quality footwear. The name itself derived from William Riley’s observation of chickens in his backyard, and how a three-toed foot best supported a body. As a result, the arch supports created by the company would have three prongs on them for best possible support. In the 1930’s, New Balance began manufacturing specially designed orthopedic footwear for baseball players and track & field athletes. This entry into the athletic market was the turning point for the company as it moved into a category that would provide plenty of financial growth in years to come which the company had struggled to achieve after the years that followed its inception. In 1956, New Balance changed its name to “New Balance Orthopedic Laboratory” to appeal towards America’s fascination with science. But the real recognition for the brand came about in 1961, when New Balance applied its experience in producing specially designed athletic footwear to a brand new men’s running shoe called the “Trackster.” The shoe was manufactured in widths ranging from AA to EEEE, which set it apart from all other competing brands. The move worked as New Balance had moved into a more promising market, one that offered a greater potential for growth than the orthopedic shoes and arch supports market. The range of widths sent a clear and concise message to the consumer – we make footwear for everyone! The Trackster managed to gain its own set of loyal followers due to the craftsmanship and tailored fit of the shoes. However, even then, the shoe got love from only a limited customer base. The shoe might have been new but the management and its marketing directives were dated. New Balance’s mass-market penetration came about in 1972 with a change in ownership as James S. Davis took over the reins for $100,000. Davis had experience and interest in marketing and sales and he totally changed the way his predecessors had handled both the verticals. The recreational jogging scene exploded in 1973 and 1974 transforming running from an activity to a way of living. With this, came the advent of magazines and publications that catered to the interests of jogging enthusiasts. Runner’s World was one such magazine that published its first annual supplement in 1975 and it rated the leading running shoes of the time. Tom Fleming’s victory at the Boston Marathon in his New Balance 320’s had already catapulted the brand to new heights. New Balance placed third on the rankings but in the following year, was able to stomp over all the other competing brands to win the “best running shoe in the world” category, with two other New Balance entries placing third and seventh. 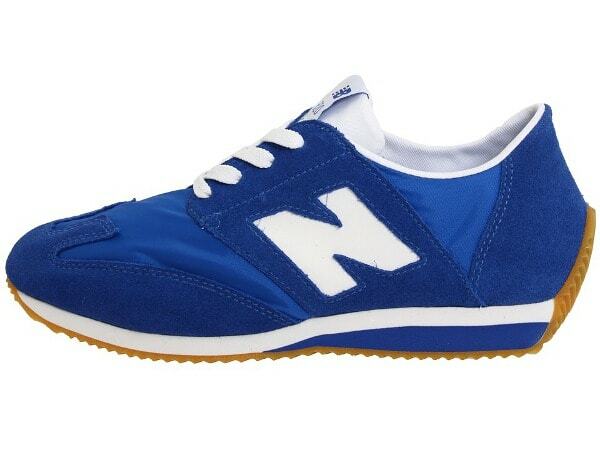 The 320 was also the first pair from New Balance that rocked the signature “N” logo designed by Terry Heckler. Even though he was told by others that this could confuse the consumer thinking that it was a Nike shoe, Heckler seemed to be actually happy about the comparison. In 1976, the 320 became so popular that New Balance refused to do ad campaigns with younger models and worked with the older folks. This set their commercials apart from what other brands were doing in terms of marketing, all under Davis’ ingenuity. The message was once again clear- Our shoes are for every one, including ma and pa and not just sports figures and jogging enthusiasts. It was once again Terry Heckler’s idea to give the shoes a number instead of a name to create an equal perception of each model compared to the “cool” factor attached to fancy names that could vary from one model to another. As per Heckler, usage of names would’ve made one shoe with a cooler name more desirable than the other when the actual goal was to sell everything the company created. By 1982, a decade after Davis acquired the $100,000-a-year-in-sales company, New Balance was raking in $60 million a year in sale with a bright future ahead. Just three years later the company touched the $85 million a year in sales mark. But whatever goes up comes down and it was at this point that the athletic footwear industry and New Balance parted ways. While the athletic footwear industry thrived, New Balance shared none of the spoils. 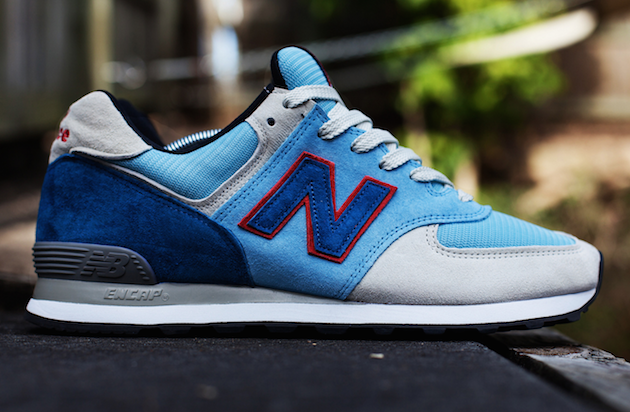 During the late 80’s, New Balance’s unprecedented financial growth stopped. This was largely due to Davis’ top execs urging him to outsource all the manufacturing overseas to save production costs. After all, the competing brands had made the same move and the decision to follow in their footsteps made business sense. But Davis refused to budge and kept the manufacturing close to the company headquarters. Instead, he started to pour in more resources into his manufacturing facilities in Maine and Massachusetts. 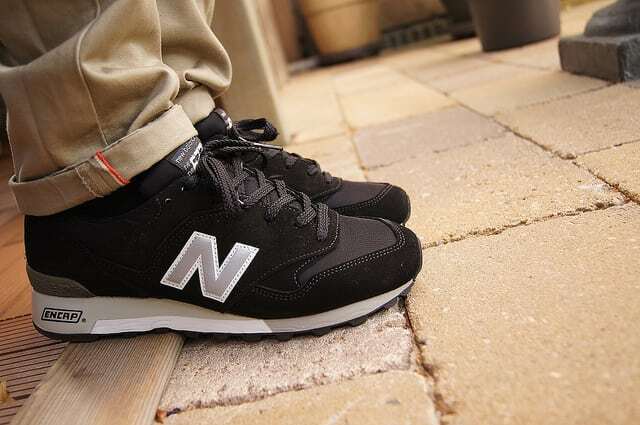 As a result, the profitability returned and New Balance scored $100 million in sales in 1991. By 1996, the company touched the $474 million mark only to be followed by $550 million in 1997. During these years, rival brands were not doing so well and it made New Balance look even better. Chairman and CEO James Davis surged ahead and tripled the amount of advertising efforts and money but at the same time, stayed clear of all celebrity endorsements given how the James Worthy situation panned out. In 1998 New Balance acquired the Dunham brand name and prepared to foray into the boots business, specifically outdoor, hunting, work, and sports boots. Since the 2000’s, New Balance have spawned several iconic silhouettes like the 991.5, 997, 998, 999, 1500, 1600 and their latest silhouette the 247 Luxe and Sports editions. New Balance has also enjoyed a lot of success due to its collaborations with some of the best names in the sneaker industry namely – Mad Hectic, Mita Sneakers, Concepts, Stussy, LAMJC, Colette, Eric Haze, Crooked Tongues, Burn Rubber, PHANTACi, Ronnie Fieg (KITH), West NYC, J.Crew, 24 Kilates, Hanon, Norse Projects, Solebox, United Arrows and many more. Today, the brand has a cult following in the athletic footwear and lifestyle segments with consumers vouching for the comfort, fit and shape of New Balance shoes. Their Japanese and English chapters have churned out very high quality footwear as well with their Flimby factory being one of the most trusted centers of quality craftsmanship among the sneaker community.